强力推荐！MANIC STREET PREACHERS will release a brand new track to coincide with the release of their complete singles collection album. The single 'This is the day' is available from 18th September and is a cover of the 1983 The The track taken from the synth-noir classic album ‘Soul Mining’. 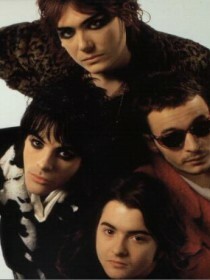 The band have been fans of the group and their version echoes the original whilst bringing a new dynamic production and their own distinctive sound to the song. ‘NATIONAL TREASURES’ features the band’s 37 previous single releases from the last 21 years and 10 studio albums. 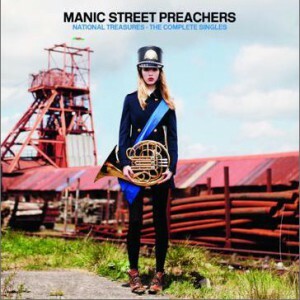 It’s also the first time since 1992’s ‘Suicide Is Painless (Theme from M*A*S*H) the Manics have released a cover version as a single despite recording and playing live many versions of their favourite tracks over the years. 'NATIONAL TREASURES - The Complete Singles' is released on 31st October 2011 via iTunes and iTunes LP, as a double CD, a 2 x CD DVD set featuring all 38 videos and some bonus video content and an amazing box set with 38 x vinyl finish CD Singles, a poster, a DVD of all the videos, 7” vinyl of New Art Riot, Suicide Alley, Jackie Collins Existential Question Time, Manics lipstick and vanity mirror and a limited number will also contain a 7” of Motown Junk. All the singles have been re-mastered. See below for pre-order links and the full track listing.